Dimensions 0.50 by 10 by 14 in. In the four decades since its first publication, Michael Chekhov's To the Actor has become a standard text for students of the theater. But To the Actor is a shortened, heavily modified version of the great director/actor/teacher's original manuscript, and On the Technique of Acting is the first and only book ever to incorporate the complete text of that brilliant manuscript. Scholars and teachers of Chekhov's technique have hailed On the Technique of Acting as the clearest, most accurate presentation of the principles he taught Yul Brynner, Gregory Peck, Marilyn Monroe, Anthony Quinn, Beatrice Straight, and Mala Powers, among others. 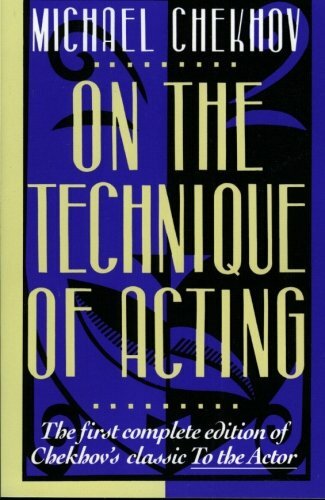 For actors, directors, and anyone interested in the theater, On teh Technique of Acting is an essential handbook. About: The most authoritive, authentic text of a classic guide to actingIn the four decades since its first publication, Michael Chekhov's To the Actor has become a standard text for students of the theater.